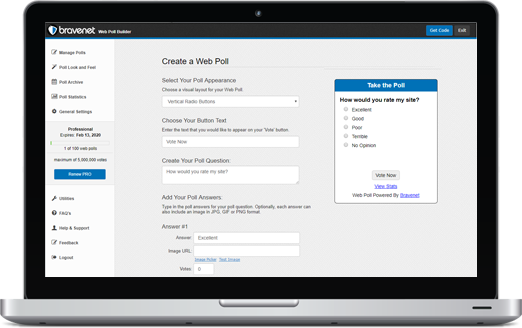 Add a Web Poll to your website and let your visitors vote on any topic you like. 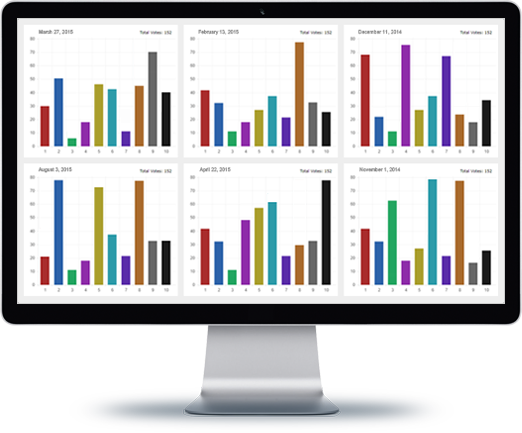 Poll, survey, quiz or test your visitors for a fun interactive user experience. Get a Web Poll for FREE! 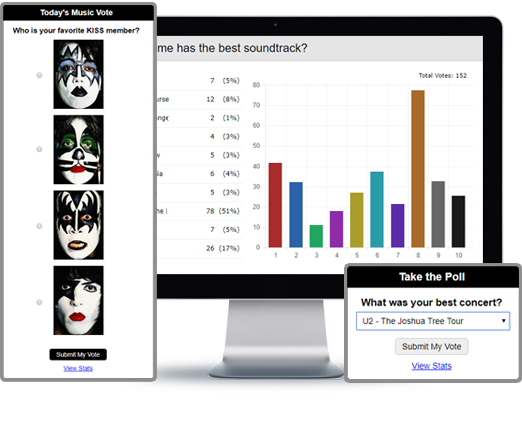 Your Web Poll can be fully styled to match your site. You can have the responses via radio button, check boxes or a dropdown selector. In addition, you can spice up your poll by adding images to each poll answer! Set up the main web poll question, add as many answers as you like, customize the look and feel, and paste the code into your site. 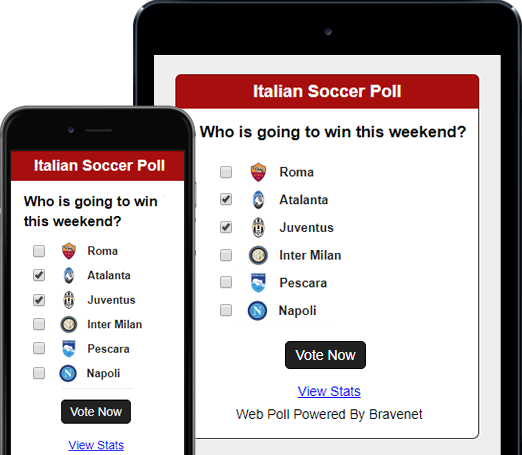 With Bravenet Web Polls one cool feature is the ability to randomly display one of many polls. Random polls means that users see different polls each time they visit. So you're actually running several web polls at the same time. Choose whether to make your Voting Stats public or private. It's up to you! And you can Archive old polls and keep the results for later use and display. 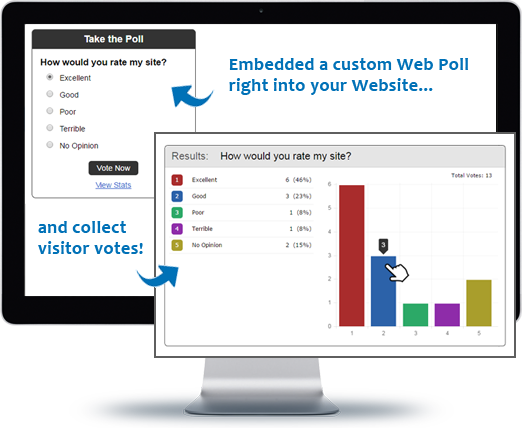 Add a Web Poll to your website and let your visitors vote on any topic you like. Get a Web Poll. It's FREE!